In the previous post we were talking about chess talent, and we used Grandmaster Sergey Karjakin as our example. 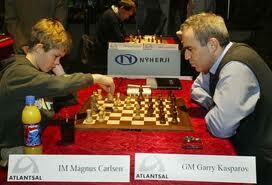 This time, we will go further and analyze several exciting and instructive games of his. Your task is to find the best continuation in the positions provided below. 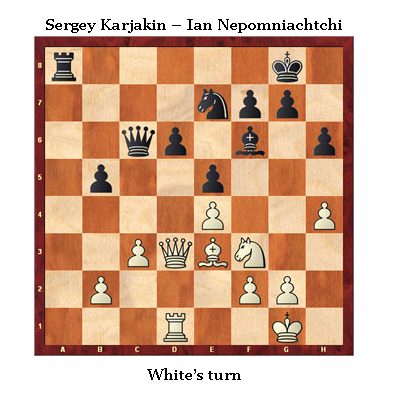 Are you as good as Karjakin? Besides enabling you to check your solutions, these commented games will provide you with someadditional instructive ideas. Why i don't play h6 before Bg5? here: click link below to watch! This video contains some powerful practical tips. 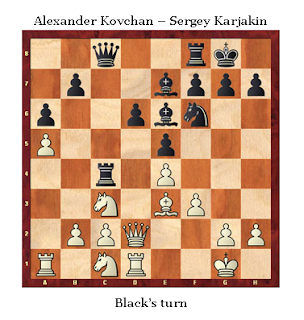 It’s easy to apply them and a lot of players don’t understand these ideas well enough (even V.Kramnik lost “like a chicken” without this knowledge!). P.S. Do you like this video? Then share it with your friends by using the buttons below. Dont forget to like us on Facebook and follow us in Twitter. In this issue I’d like to discuss chess TALENT. 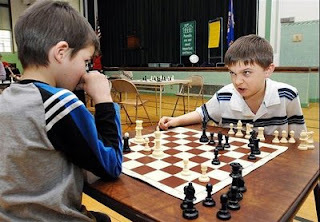 “I think I have not enough talent to become 2200/2300… player”. I’ve always been wondering what you mean. Could you formulate/explain it clearly? efforts will not change the situation anyway. Today I won some blitz games against Dominguez (who was a World blitz champion) Blitz gives us lot of fun! the main factors of your practical success. 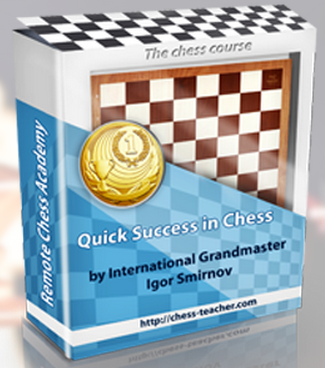 Get all my selected chess lessons for free. You don't need to buy them, it's all free for you. So let started. You can subscribe in order to get latest update on my blog.